Sixty years after the publication of his first novel, Cat Man, Edward Hogland is publishing his twenty-fifth book at the age of eighty-three. This capstone novel, set in Vermont's Northeast Kingdom, introduces Press, a stockbroker going blind. Press has lost his job and his wife and is trying to figure out his next move, holed up in his Vermont cabin surrounded by a hippy commune, drug runners, farmers-gone-bust, blood-thirsty auctioneers, and general ne'er-do-wells. Solace and purpose come from the unlikeliest sources as he learns to navigate his new landscape without sight. Hoagland, himself, is going blind, and through this evocative, unsentimental novel, we experience the world closing in around Press, the rising panic of uncertainty, the isolation of exile, the increasing dependence upon the kindness of strangers, and a whole new appreciation of the world just beyond sight. Dorothy and Karl took him to the evening auction sales. At 8 p.m., with no movie house in town, people congregated Tuesday on the short set of bleachers facing a wooden ring in which aging dairy cows were sold, mainly for hamburger, and vealer calves, also for slaughter, if not singled out by a farmer rebuilding his herd. Rival buyers from meat companies in Massachusetts bid against each other for the frightened cows, mooing instead of lowingold matrons who might have been leading a barn full of milkers out to pasture every day and back but had outlived their peak productivity and now were being disposed of. Crammed into an unfamiliar pen with strangers of their ilk, dominant till this morning but milling, terrified, they were in pain as well from not having been milked. Hoagland's fans will want In the Country of the Blind, perhaps the nearest he will come to confronting his own deteriorating eyesight. His protagonist's reaction to loss of vision is nuanced and carries the weight of worldly experience, making for an intensely personal, almost elegiac, novel. (Reviewed by Gary Presley). Hoagland, who is himself blind , employs a precise rendering of the senses in service to crafting a masterful work. For readers of Thomas McGuane and Jim Harrison. Starred Review. The incomparable Hoagland's 25th book is not only one of the most rewarding novels of the year, it's also one of the sexiest. Does anyone write better than Edward Hoagland? I doubt it, and this is one of his best novels - taut, tender, and true. Press, the protagonist of In the Country of the Blind, lives in Vermont near a forgotten trail that rum-runners used to smuggle alcohol into the United States during Prohibition. "The Nobel Experiment," as the 18th Amendment to the Constitution was called, was an attempt at social engineering lasting from 1920 to 1933. 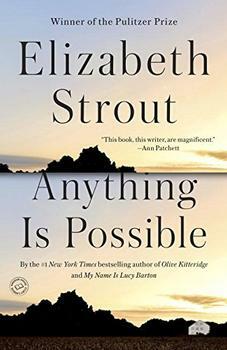 An unforgettable cast of small-town characters copes with love and loss in this new work of fiction by #1 bestselling author and Pulitzer Prize winner Elizabeth Strout. 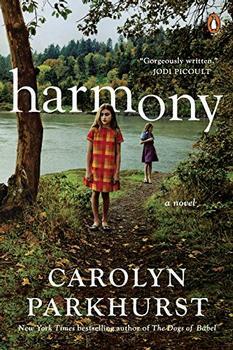 From the New York Times bestselling author of The Dogs of Babel, a taut, emotionally wrenching story of how a seemingly "normal" family could become desperate enough to leave everything behind and move to a "family camp" in New Hampshire - a life-changing experience that alters them forever.